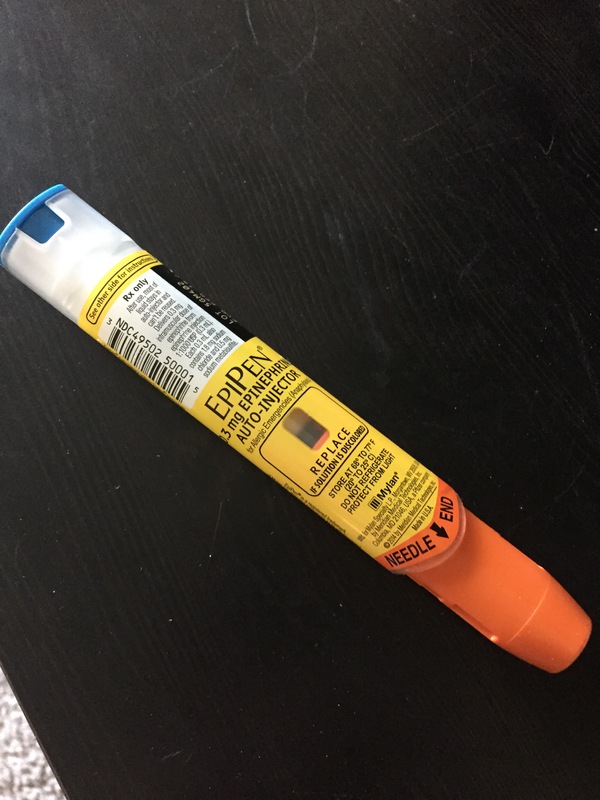 Two posts in a month! Yeah, I’m kinda freaked out too, but I’m a bit overdue with my review of Radhika R. Dhariwal’s The Tale of a No-Name Squirrel. 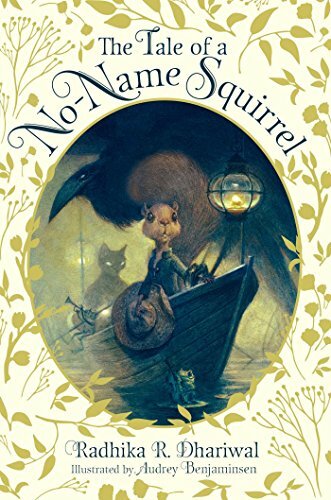 The Tale of a No-Name Squirrel, aimed at middle grade readers, is a fun adventure, to be sure. It took me a few chapters to get into the world, but once I did, I enjoyed the myriad layers to the story. Our hero, Squirrel, is the last slave in the kingdom of Bimmau, a land occupied by animals who talk and wear fancy clothes, but also stick together by species and rarely cross those bounds. At a somewhat scandalous wedding between a cat and a dog (this, I admit was hard for me to wrap my head around at first), Squirrel sips a strange drink and hears his deceased mother’s voice whispering a puzzle to him. The plot is a straight up quest. Squirrel must work through a series of clues that will lead him to a special key that has the potential to free him from slavery and to reveal his true name. Squirrel and a rag-tag group of adventurers must stay one step ahead of enemy forces who also want the key, because although it has the power to free slaves, the key may also be used to enslave others. Of great fun for me, and my children who also read the book, was ability to play along with the puzzles. There are riddles to answer and codes to break, making this a good step up for kids who enjoy the Geronimo Stilton books, but are ready for a new challenge. I wish I had done this as a read aloud with my kids, rather than them reading the book independently. My daughter didn’t like the occasional swear word (“damn” if you’re wondering), and some subtle flirting confused my son, but would have kept an adult’s attention while reading. I suspect a lot of the book’s nuances were lost on them. Part way through, I had an epiphany – the various animal species functioned like a divided human society. Some of the characters were open-minded enough to see past the physical difference and appreciate what similarities existed even when the differences seemed insurmountable. The themes of home, family, identity, and nourishment recur in different places. I really wish publisher Simon & Schuster had included a reading guide or discussion questions, because as parents, sometimes our brains hurt by bedtime and we need a little help, so here’s a few thoughts from me. If reading aloud, the parent (and child if they read aloud too) could stop and ask questions about whether Squirrel and Des are good guests and if bees or mice are better hosts and why. There are a number of places where the adult could ask a child why a character behaves they way they do and raise issues of fairness. The Tale of a No-Name Squirrel is a terrific book for raising issues around empathy but also hierarchical societies. Because the animals bear resemblance to humans – and not just for the fine footwear – sharing this story can be a way to ease into some uncomfortable conversations about privilege, whether economic, social, or racial. But if that’s too esoteric, then focus on quest and puzzles. I give this a 5/5 for a read aloud story, and a 4/5 for independent reading. Oh – and the disclaimer – I received a complementary copy of The Tale of a No-Name Squirrel from the author in exchange for an honest review. And another oh – the illustrations by Audrey Benjaminsen are charming and add character to the story. I have a few more books to add to my last reading challenge update. For 13 – I read Wonder by R.J. Palacio I can see why this is a well loved book among the late elementary school age. With the shifting points of view, kids are likely to find someone who speaks to them. For book 12 – Oh crud. I just noticed the bestseller designation. Not sure either book I read qualifies for that. Oh well. My first thought for this category was engineering textbook. My second was historical romance.I picked up Love’s Spirit by Elizabeth Mayette, a historical romance set during the Revolutionary War. I’m enjoying it more as a family saga. There are so many lives intertwined with the politics, that although the romance is present, to me it is not the main thrust of the story. I have about 50 pages to go, but I expect a good review. The research and eye for detail and accuracy show. The other book I read at the same time was a cozy mystery, book 1 of the Trailer Park Princess series, The Middle Finger of Fate by Kim Hunt Harris. It seemed like a campy, goofy series with a snarky heroine which is what I wanted. Turns out, it’s less camp and more Christian. I didn’t know there were Christian cozy mysteries, but now I do. It was okay, but I probably won’t read the rest. I suspect my reaction had more to do with my reader expectations going in and a sense it wasn’t what I wanted it to be. So there we go. I still have a lot of book categories to sort out. The last few years, I’ve made it a point to read overlooked or newer books that have few reviews on Goodreads and/or Amazon. Not this year. I got myself looped into reading for a contest and sometime mid-January a pile of 6-8 books will appear on my doorstep and I will have about 4 weeks to read them. I’ll have to look for a different month to give out reviews to books in need. In the meantime, I’ve decided to take the 2017 PopSugar Reading challenge. Some categories look easy – I do an audiobook a month so no worries there. Some look more challenging – I don’t usually buy books on a trip. But I’ll update my progress both here and on Goodreads. I hope I don’t have as much time to read this year. As much as I love reading, I hope to get some writing done this year too. Are you doing the PopSugar challenge? Let me know. We can share reading ideas. I was super lazy this year. I didn’t put together the fancy-schmancy top books I’ve read this year list. I read some good stuff, and a lot of middling stuff that I pushed through to try and figure out why the book didn’t work for me. I read a terrific work in progress that will be coming out as a book in 2017 and I read some books (both published and not) that should have stayed either under the bed or as an unshared digital file. It was an okay year of reading. Maybe I’ll organize the highlights later.